Of all the items up for auction in this sale, we felt this particular one had the strongest chance of pulling down some serious cash. But it’s interesting to point out that on this item, despite its obvious rarity and unassailable provenance—there was only 1 bid! 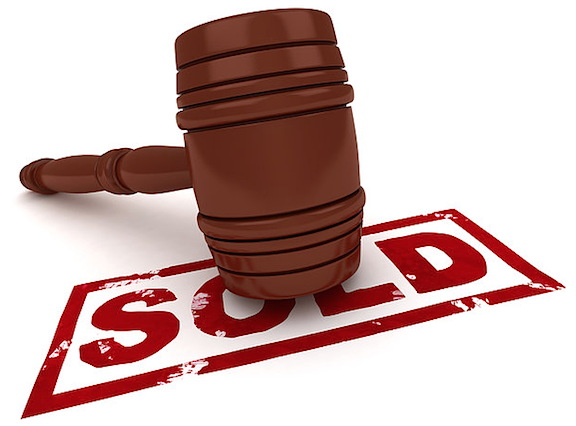 Unlike over on ebay, at an auction house, whatever bid you offer registers immediately as the highest bid. The new owner of this piece clearly decided that his (or her) “ceiling” bid for the Joe and Barbie set was $4, 375, and since no other bids came in, that amount became its final selling price. Is it worth it? Yup. 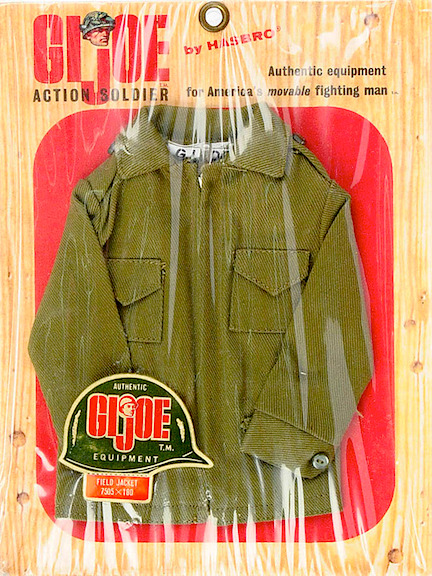 Collectibles are worth whatever fans are ultimately willing to pay for them, and this item’s highly popular cross-branded theme and professional prototype packaging makes it a VERY desirable GIjOE/Barbie collectible. Whoa. This final sale price on this Joe will definitely have collectors buzzing, either with admiration—or contemptuous disbelief. 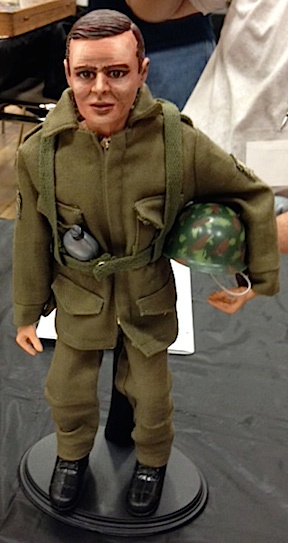 Just looking at it, this prototype “Action Soldier” appears to be a simple combination of a fuzzhead figure, AT Commander’s jacket, USAF orange jumpsuit and boots. This is something any Joehead can duplicate in a matter of minutes. We’re not saying it isn’t exactly what it was represented to be, but for what the buyer receives, the final purchase price of $2,625 seems waaaay high (to us). The biggest surprise about this guy was how fiercely he was fought over. When the dust finally settled, there had been a total of TWELVE (12) bids placed for this one (fairly ordinary looking) 12-inch Joe. WOW! Okay, we were honestly “on the fence” about this figure. 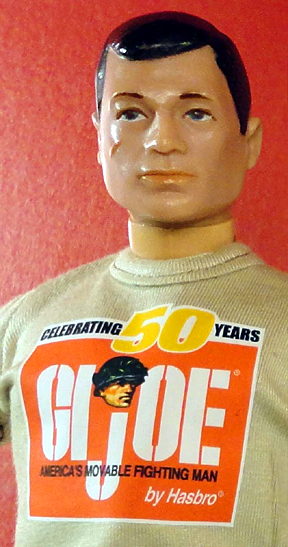 Its Levine Family provenance and stained sweater struck us as LIKELY to be what it was claimed to be—a prototype for Action Man—but again, without the COA, it seemed fairly basic and uninteresting. Regardless, someone out there in Joe-Land offered up $625 and earned the right to become its new owner. Again, there was only ONE bidder, and although that bidder had no way of knowing he (or she) would be bidding alone, that person could have saved him or herself $125 by bidding only the reserve price of $500. Oh well, live and learn! “I’ve been dealing with the sale pretty much since its inception and have talked with Nan Levine a lot about each piece. She seemed to know a lot about each piece, and told me that they were all indeed original prototypes. She was familiar with everything that he had, and Donald had these identified as prototypes, or original designs. “This is the original prototype designed and created by G.I. 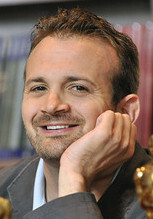 Joe creator Donald Levine, in its original packaging taken by Levine to the pitch meeting for the idea, at the offices of Hasbro executives. 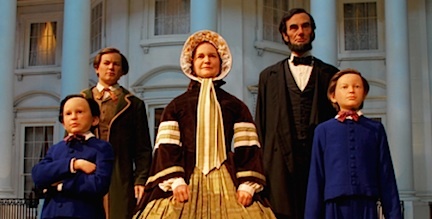 Ultimately, though, the ”dream date” never occurred, as Hasbro was unable to get licensing rights from the Mattel toy company for the production of the Barbie doll. Crikey! 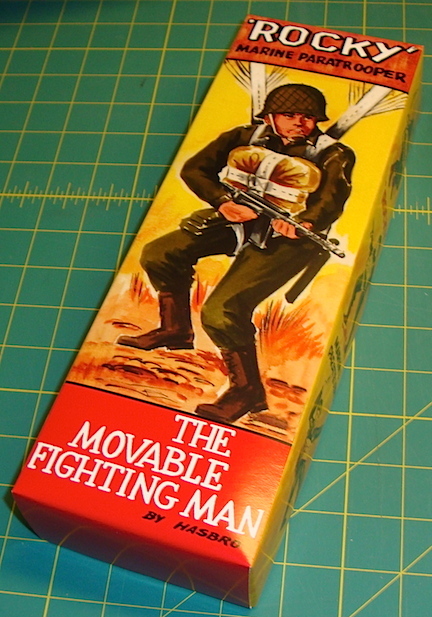 The World’s FIRST Action Man? “One of a kind ‘Real American Heroes’ prototype scene, representing heroic firefighters at the site of the 9/11 tragedy. 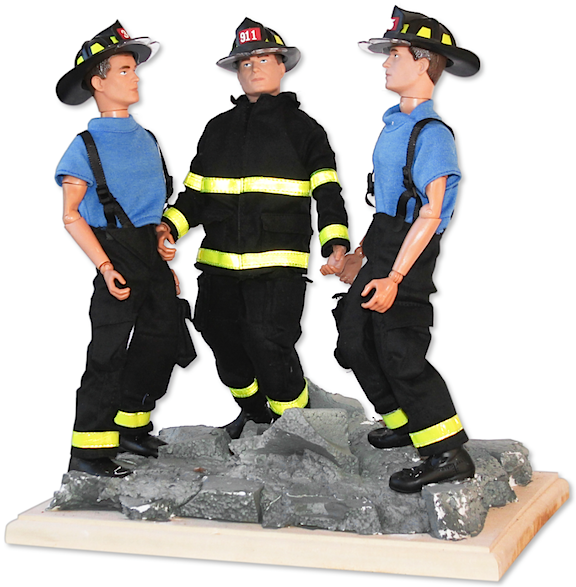 The scene depicts three first responders, manufactured in the style of G.I. Joe dolls. The firefighters stand on an artistic representation of the World Trade center rubble. The three struggle to maintain their balance on the rubble, which is made of gray painted styrofoam affixed to a wooden base. Firefighters wear blue t-shirts underneath black firefighter overalls with neon green striping to the cuffs. The middle firefighter wears a removable black firefighting jacket with neon green striping across the chest and elbows, as well as striping across the cuffs and bottom of the jacket. 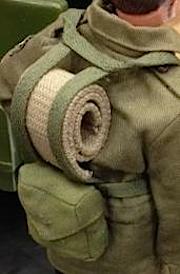 The removable jacket velcros to the neck. All three firefighters wear removable black and neon green firefighting hats with clear plastic visors. A Pair of Remote-Control Prototype GIjOEs? Affirmative! Welcome to Our World, Joeheads! 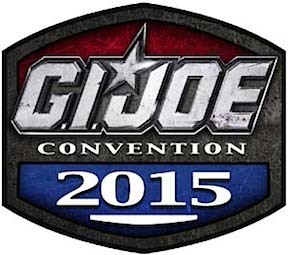 In a surprising announcement, the official GIjOE Collector’s Club has revealed that it will host its next collector’s convention, JoeCon 2015, April 9th-12th, in a town located smack dab in our own cornfield, er… backyard, Springfield, IL. 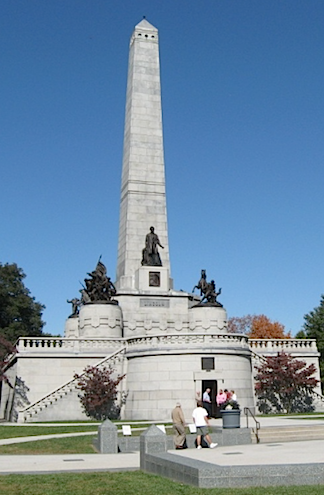 Despite popular opinion, this Springfield is NOT the home of TV’s The Simpsons, but it IS the state’s capital city and final resting place of our nation’s 16th President, Abraham Lincoln. In addition, this part of the country is also the home of The Joe Report (we’re headquartered just down the road a piece in the sleepy college town of Champaign-Urbana), the wonderful Central Illinois GIjOE Collectors Club, 1:6 scale accessories manufacturer, Patches of Pride and much more. So while we have obvious reasons to be thrilled with the club’s choice of location in 2015, we can’t help but wonder how other Joe fans, collectors and dealers will feel. How do YOU feel? “In the coming weeks, pop culture enthusiasts from around the world will be able to register for G.I.JoeCon 2015 through the G.I.JoeCon.com online registration system. Fans and collectors who register for G.I.JoeCon as an American Hero or General package holder will receive an exclusive G.I. Joe convention figure set, admission to the Friday private sales room experience, priority seating at all panels and seminars throughout the weekend and admittance to the Saturday night Casino Night and Awards party. Finally, American Hero and General package attendees will also receive a special bonus G.I. Joe item to go along with their convention box set. 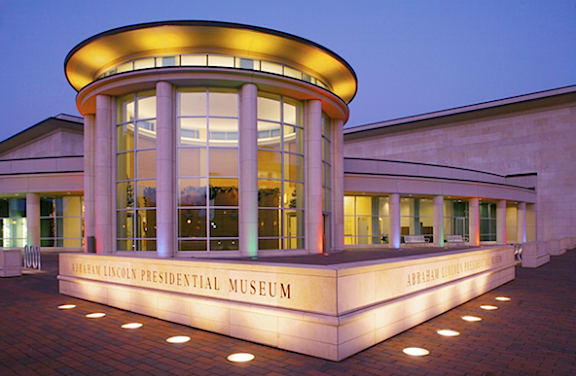 General Admission for non-registered guests will be available on Saturday and Sunday only. Bottom Line: That last line in the club’s description (about GIjOE vs Cobra) seems to imply whatever 1:6 scale convention sets are created MAY be RAH-themed, but that remains to be seen. Whatever their plans, with the show being only a short trip down the highway (for us), it’s a no-brainer that the complete staff of The Joe Report will be there to cover the events. What are YOUR thoughts regarding the show’s location? Please leave your comment(s) here today. Thanks! What a relief! 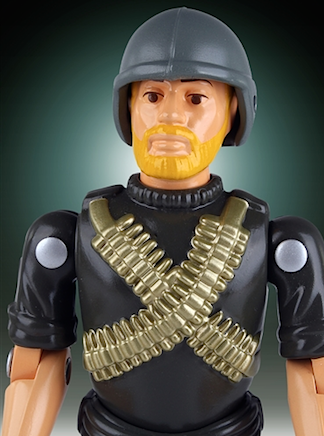 At a time during GIjOE’s 50th Anniversary when fans of 12-inch figures had given up all hope and accepted the cold, sobering reality that Hasbro’s 1:6 scale Joes were now largely a thing of the past, a second toy company (under license from Hasbro) has picked up the beloved brand’s baton and announced plans to carry it on proudly, well into 2015. The company coming to the rescue of 12-inch collectors is none other than Gentle Giant, Ltd, and the first Joe out of their factory’s gates will be an all-new, 1:6 scale figure based on the vintage RAH superstar lovingly known as—Rock ‘n Roll. Let’s take a look at the stats on this bad boy: He’s going to be a full 12″ tall by 5″ wide and 2″ deep (must’ve been working’ out). And based on the photos generously provided to us by online retail giant, Big Bad Toy Store (BBTS), we can also see that R&R will have at LEAST 10 points of articulation. Yes, you heard us right. TEN. Imagine all the poses! 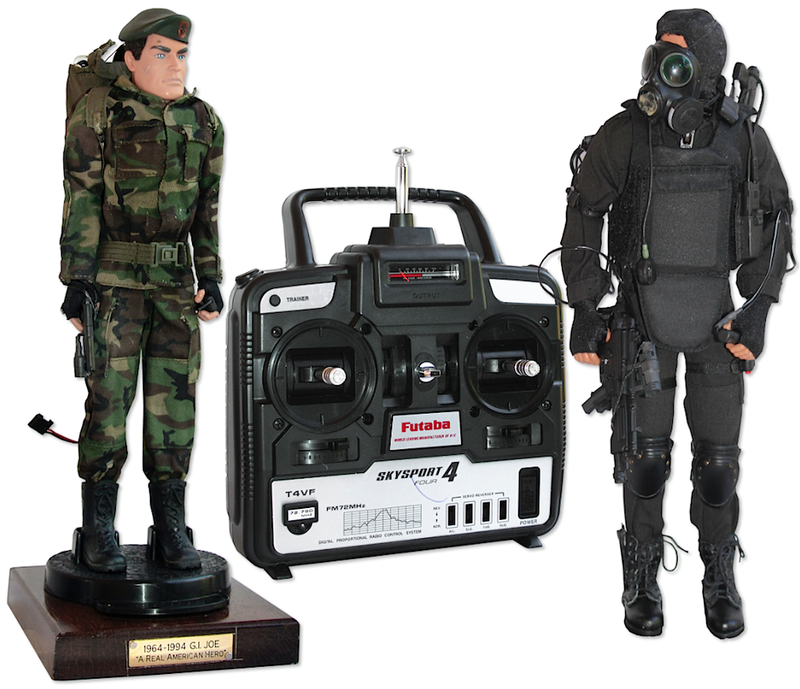 Bottom Line: Fans and collectors of 12-inch GIjOEs can now breathe easy. These new “jumbo vintage figures” are surely everything they’ve been asking for—and MORE (“durable plastics, YES!). 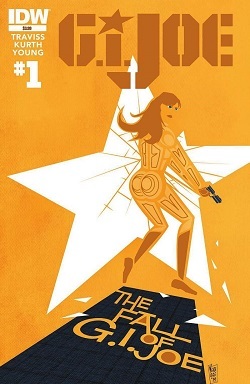 And if you can’t wait until 2015, BBTS wants you to know that you can pre-order a R&R today—HERE. And guess what? They’re only $80 bucks each. Hurry—before they sell out! 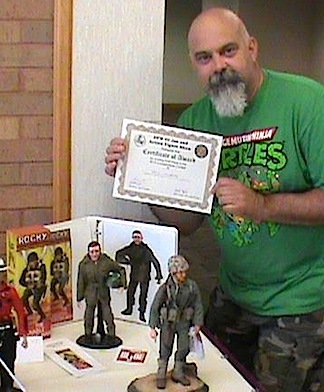 Don’t tell longtime GIjOE fan, collector and accomplished 1:6 scale customizer, Bill Lawrence, that there isn’t anything fans can do to celebrate the 50th Anniversary of “America’s Moveable Fighting Man.” After having a good laugh, he’d probably give you a knowing look, crook his finger and ask you to follow him into his Joe Room to witness one of the most astonishing custom figures ever produced: a perfect, piece-by-piece, modern-day replica of Don Levine’s first-ever prototype GIjOE (originally created over 50 years ago by the now deceased, “Father of GIjOE” himself and his 1963-64 team of artisans at Hasbro). In this exclusive account of Lawrence’s amazing 10-of-a-kind achievement, we’ll hear from the customizer himself and learn exactly how this stunning 1-year creation ultimately came to fruition. And so, without further ado… Herrrre’s, Bill! “With all the talk about the upcoming 50th Anniversary of GIjOE and the possibility that we may not be seeing anything in 1/6 scale to celebrate it, I decided that it was too important of a historical event to not do something to commemorate it. 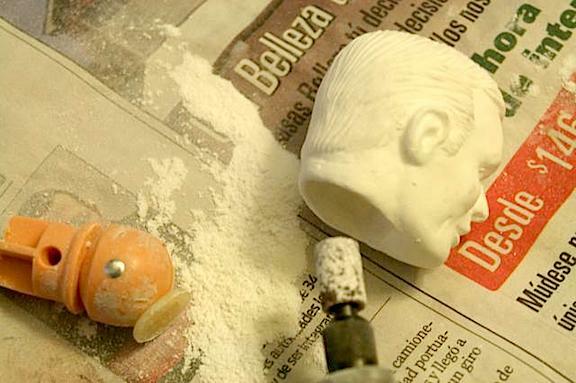 “We discussed the issues he was facing and ultimately decided to carefully package and send the wax original to Mego Museum member Austin Hough, owner of reproheads.com, who uses a pressure pot method in order to minimize the bubbles that are sometimes formed during the molding and casting process. 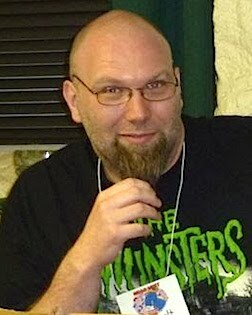 I was also lucky enough to attend a seminar on casting put on by Austin at Mego Meet 2011. We knew he was the right person for the job and thankfully he agreed to take on the project for me. I contacted Austin and made arrangements for the wax original to be sent directly to him. On April 3, 2014 it was on its way! “They arrived! I opened the package to find the wax original tucked safely away in a plastic container carefully padded all around with foam and ten freshly cast Rocky heads in a one gallon baggie. They kind of looked like golf balls LOL. 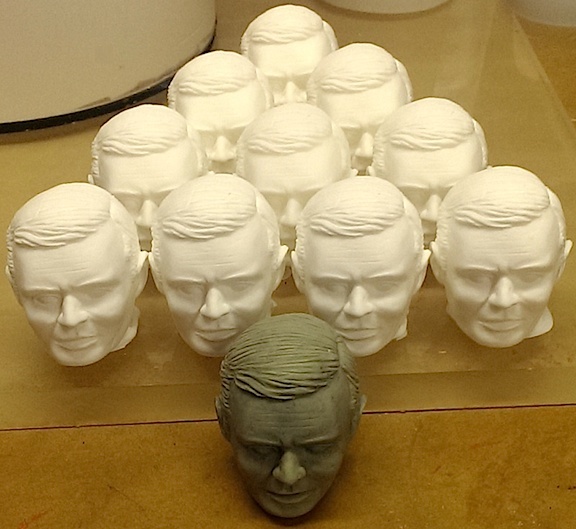 “At first I entertained the idea of painting all 10 heads myself. 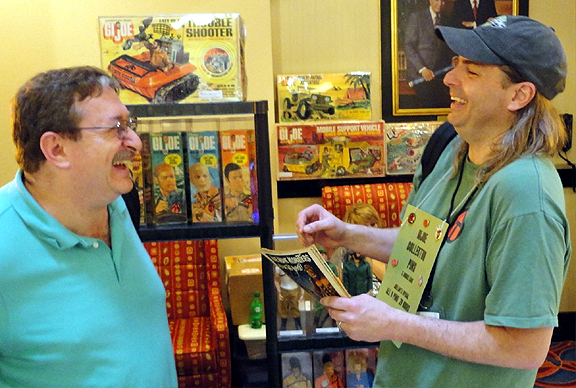 Then I thought of artist David Howard, member of my local DFW GIjOE Club. 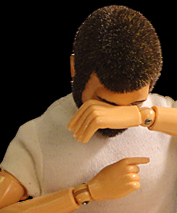 I had seen some examples of his work through the box art he designed for a couple of our club exclusive figures. It was impressive. What if he could paint them for me? I ran the idea by Greg Brown and he said he would reach out to David and ask him for me. David agreed. I got in touch with him through email and we discussed the project. 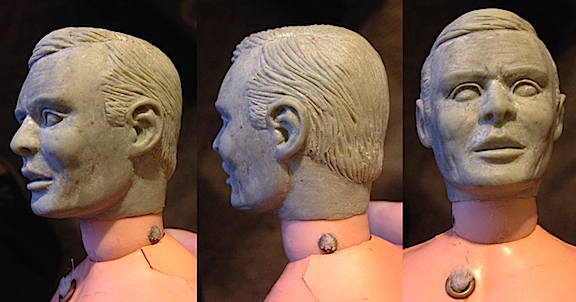 We finalized the details and the heads were packed up and on their way to him. I received an update from David on August 5, 2014. 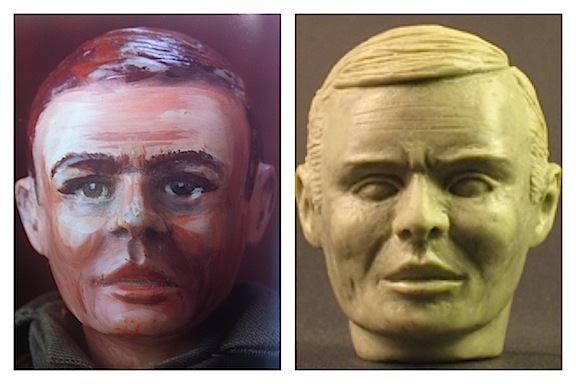 He told me the paint was coming along nicely and that the likeness to the original was “very close.” Then he asked if I wanted the final sealant to be gloss or flat. The original looked glossy because they likely used oil based enamels to paint it. I didn’t want it too shiny, so I asked if we could go with a semi-gloss sealant. David said he would see what he could come up with. 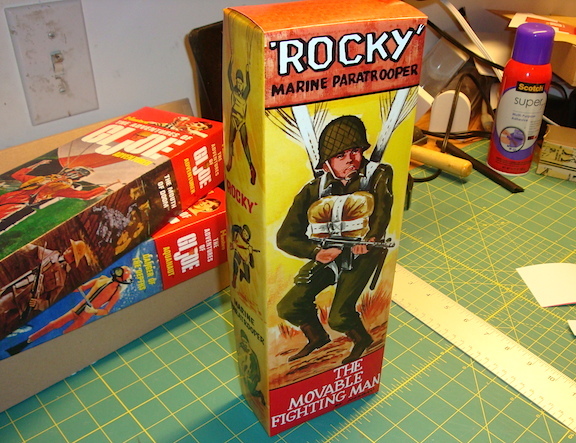 “I also equipped Rocky with a standard canteen and a marine camo helmet. I had to add brown camo paint spots to the helmet and I also changed the black elastic to white in order to better match the original. 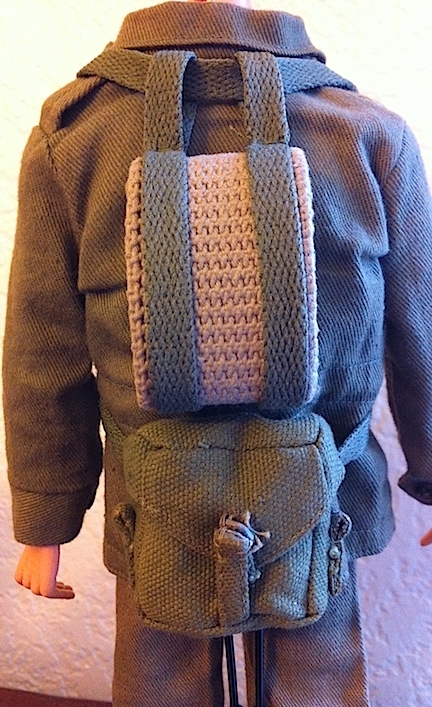 I also had to come up with a way to recreate his unique parachute harness and backpack. I wasn’t sure I was going to have the resources to have them custom-made for me, so I tried to see what I could put together. When All Else Fails—Recruit the Aid of Your Wife! “Next, I had to figure out how I wanted to recreate the sleeve patches. 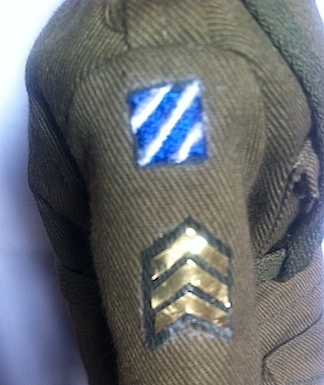 On Rocky’s left sleeve was a Sergeant rank patch and on his right sleeve was the same, but with the addition of a 3rd Infantry Division patch above it. I knew there were places to order 1/6 scale patches, but I wanted to first explore the idea of making my own. I decided that I would try to make the Sergeant patches and go ahead and buy the 3rd Infantry ones. Both Dave Tedesco from The Patch Hut and Mark Otnes from Patches of Pride were kind enough to send me examples of their 3rd Infantry Division patches to try out. The ones from the Patch Hut arrived first, and I needed to get Rocky ready to debut the following weekend at the DFW GI Joe and Action Figure Show, so I went ahead and tacky glued one on the right sleeve. As for the sergeant rank patches, I came up with the idea of using a dark green denim iron-on patch and some .005” brass sheeting. 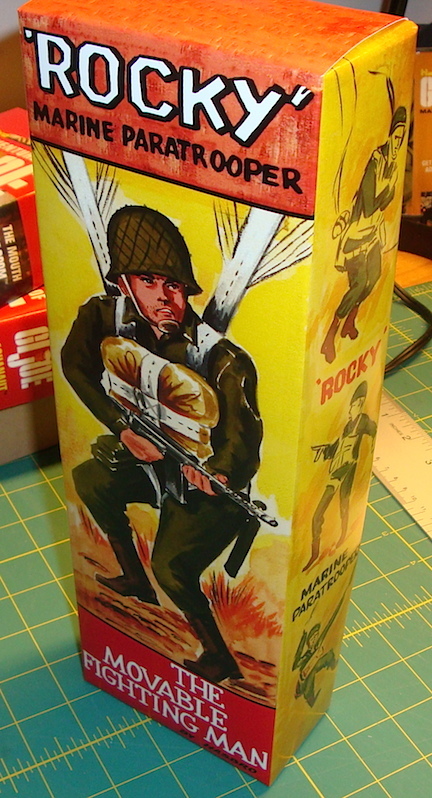 “Rocky’s custom box was made by Trenches member, Jay Cosenza. Luckily, when Levine’s original, hand-painted prototype box came up for auction in 2003, Heritage Auctions had taken some high-resolution pictures for the auction listing and they were still out there on the internet. I sent them all to Jay and he promptly got it all laid out. “Back to the 50th Anniversary sticker. Mark’s logo was the one that initially caught my eye. I decided to quit messing with perfection and just go with it as is, not change a thing about it! I spoke with the print shop across the street from work about having some stickers printed up. The price was very reasonable. I emailed the image to the print shop and received an email back on 9-24-14 that they were ready to be picked up! “It was show time! I arrived at the convention center to load in and set up my booth (Vintage Toy Rescue). The first thing I needed to do was to find David Howard. I found him setting up his own booth and after a brief chat, we got down to business. Surprisingly, he told me he had ‘some good news and some bad news.’ (uh-oh). I said, ‘You brought me at least ONE head didn’t you?’ He quickly assured me that he had. That was the good news. The BAD news was that he had been unfamiliar with the brand of semi-gloss sealant he had used and applied to all 10 heads earlier in the week—and that the paint had ‘bubbled off each and every one of them!’ Aaaaaaugh!!! “David said he hollered every cuss word he knew and then even made up a few! At the end of this tragic story, he handed me a small box. I peeked inside and staring back at me—was Rocky! He looked AWESOME! 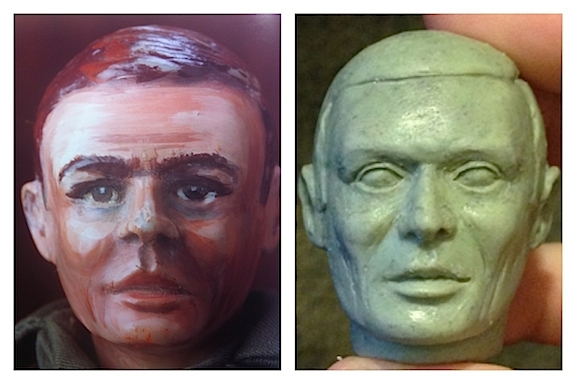 The likeness to the original was incredible. I couldn’t have asked for a better final product. I immediately popped him on the body I had waiting and set him up for the show. In the end, everything came together beautifully. The process, from start to finish, took about one year. 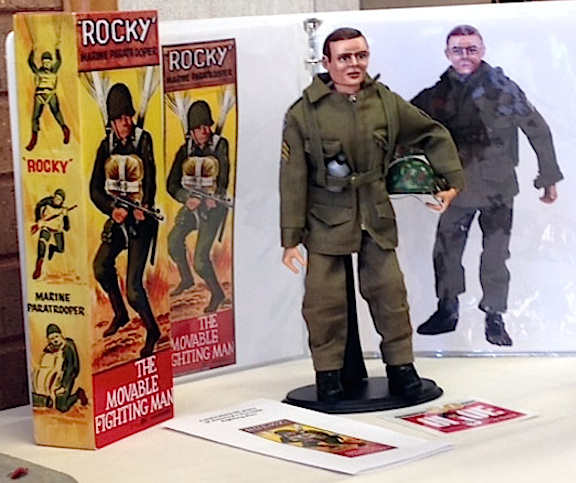 Rocky debuted on Saturday, October 4th, 2014 at the DFW GI Joe and Action Figure Show and was well received by all. In fact, he won first place in the custom action figure contest! 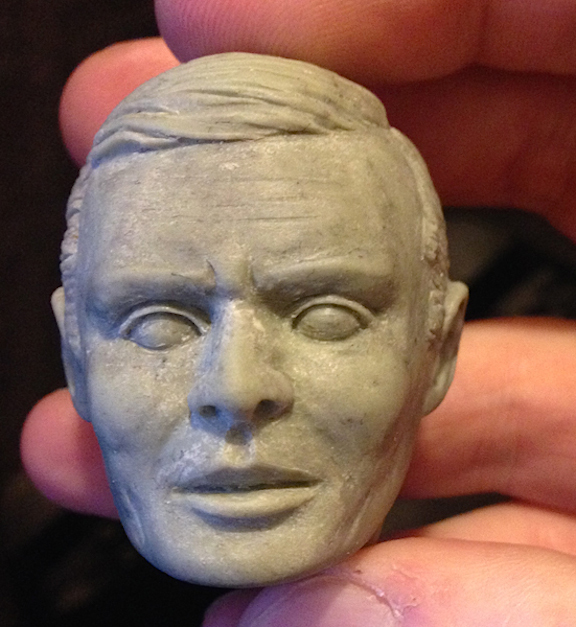 Going into this project, I set out to make 10 figures. Those 10 were gone within the first hour of the show Saturday. Thoughts of a second run are already being entertained, but I want to complete the first 10 before I decide how to proceed with the next run. I will say that I want everyone that wants one to be able to have one. Bottom Line: Typically, we’d sum up here with a couple of paragraphs of laudatory praise for Bill and his A-Team of 1:6 scale customizers (all OUTSTANDING), but today, we’re turning the reigns of The Joe Report immediately back over to Bill, who wanted to offer his own heartfelt words of gratitude to those connected with this amazing project. Take it away, Bill! 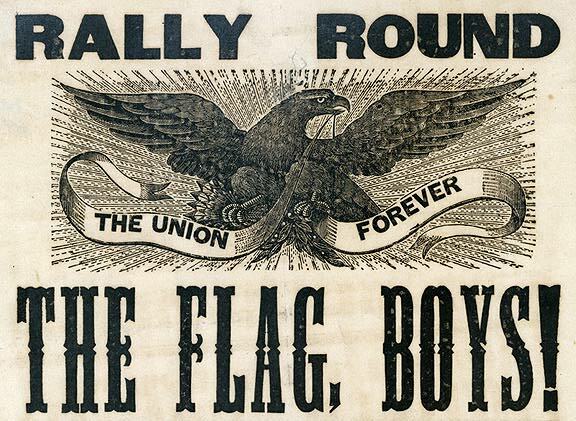 Rally ‘Round the Flag, Boys!———Are Facebook’s “Closed Groups” Dividing G.I. Joe’s Fandom? Remember when watching TV was as easy as 1, 2, 3? We do. 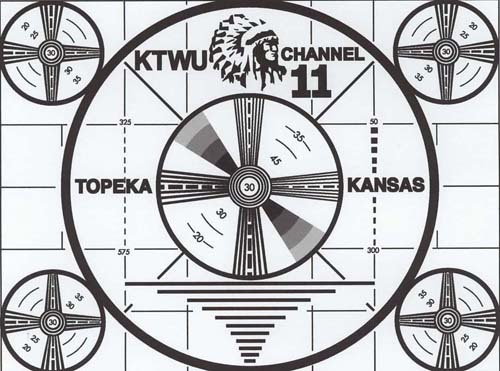 50 years ago there were only the 3 major TV networks, and a handful of independent stations vying for our attention. Such concentration of viewership resulted in a shared national identity that provided citizens with familiar reference points of culture and debate. Now, with the addition of thousands of new satellite and cable TV channels, the minds of many have begun “going their own way,” dividing the medium’s previously unified audience. Intriguingly, GIjOE fandom can now be said to be following a similar path. Only in this case, it’s the internet that (counterintuitively) risks splintering fan factions, threatening to pull collectors in so many directions that previous collecting group dynamics may soon become a thing of the past. 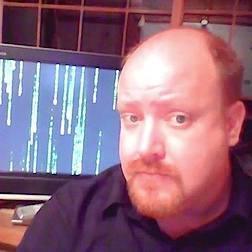 Admittedly, with all the wonderful things the ‘net has done to bring Joeheads together, it’s hard to imagine that the very same medium could now be working against them. But recent developments reveal—the damage may already be done. For Example: When discussing GIjOEs, what topics do you consider to be off-limits? Are certain words or phrases unacceptable for use in a GIjOE fan forum? Where do your personal “tolerance thresholds” for opposing opinions begin—and end? Tough questions all, we grant you; some requiring serious introspection. But for fans of GIjOE, the answers used to be very simple—NOTHING. We used to be too busy being fascinated by each other’s Joe-knowledge to be offended by an occasional off-color remark. Regardless of personal scale and era preferences, fans (in the past) loved ALL GIjOEs (yes, some more than others) and were always happy to support one another’s differing tastes and/or viewpoints. What’s happened to change all that? 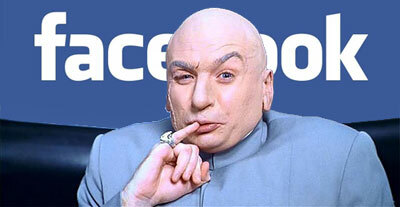 Surprisingly, some say—Facebook. 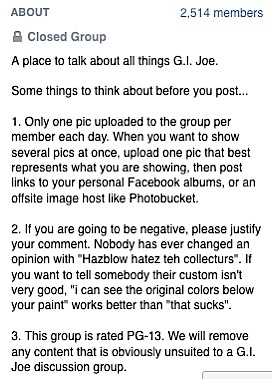 This screenshot of Facebook’s GIjOE Discussion group reveals a specific list of “things to think about before you post” (i.e. rules and regs). So what’s the problem? 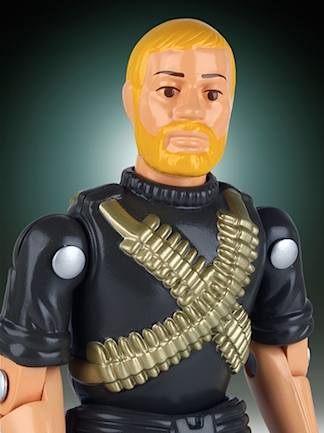 We’re still all GIjOE fans and we’re still just talking about toys, right? Well, maybe not. 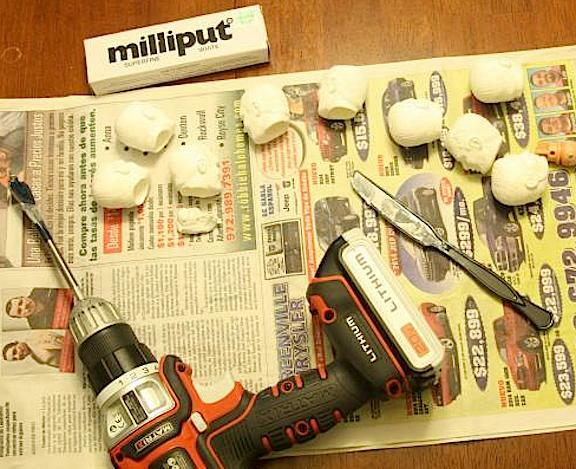 The introduction of Facebook’s numerous “closed group” GIjOE fan forums has led to an unexpected “splintering” of the hobby. While most fans enjoy the closed groups simply as yet another place on the ‘net to share their fandom (and let their “geek flags fly”), others see them as a way to suppress dissenting opinion. Of course, the level of closed-group moderation (i.e. censorship) has always varied from group to group and moderator to moderator. But in today’s increasingly segmented, politically corrected and word-sensitive society, it’s not unusual for an unsuspecting Joehead to stumble into a group of fans who are more than willing to lead him (or her) into an abyss of dispute—over a simple WORD. Formerly impervious to trivial disagreements, some fans (nowadays) appear to have developed a decreased tolerance for opinions that don’t immediately coincide with their own. Nowhere online is this evolving phenomenon more apparent than in the closed groups on Facebook. If you don’t know how such groups operate, pay heed: First, you request (or are invited) to join. Then, if you’re accepted, you learn whether the group is moderated or not and its particular “rules” for posting. To remain a member, you must abide politely by its restrictions or risk getting unceremoniously cut (i.e. “black-listed”) from the group’s roster by its all-powerful moderator. If this all sounds a tad Orwellian or close-minded, it can indeed feel so at times. But as one might expect, experiences vary from group to group and depend entirely on the mindsets of the individuals clustered within. Your level of enjoyment (or disappointment) will vary accordingly. 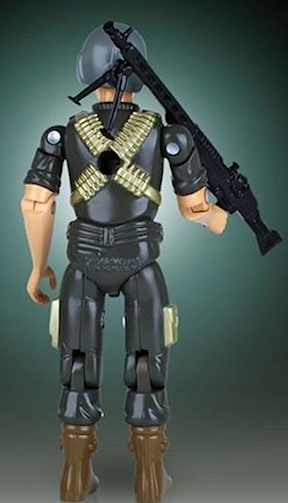 “Hasbro was VERY clear on its plans for GI Joe nearly 8 months ago, which didn’t include 12″ for a very important reason: 12″ is DEAD, or at least the 12″ figures collectors want. … And every attempt since in bringing back 12″ has been met with retail failure (all THREE TIMES in 10 years!). “I hate when people say, Go Joe! It’s Yo Joe! Bottom Line: Thanks to the gated-community mindset and feelings of supposed safety fostered by Facebook’s new closed groups, the old “Wild West Days” of free-ranging arguments and flame wars between fans are largely a thing of the past; and the older, unmoderated, text-only forums, such as the venerable wide-open Sandbox, have now become veritable ghost towns (see story HERE). 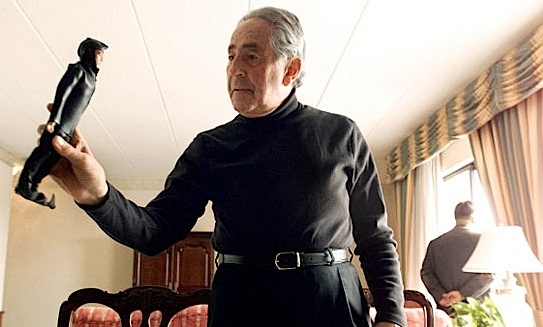 Nevertheless, as the quotes above show, verbal attacks on fellow fans still occur, even within these new closed groups, and chastised members may find themselves feeling as if they’ve unwittingly traded some of their 1st Amendment freedoms for a false sense of online peace and quiet; essentially “preaching to a choir” of like-minded souls, where nary a dissenting word —is allowed to be heard. P.S. All this kerfuffle over “Hasblow,” has us genuinely curious. What’s YOUR opinion about the disputed term? Please vote below, so Joeheads of all stripes will finally know. Thanks! My, how things have changed! 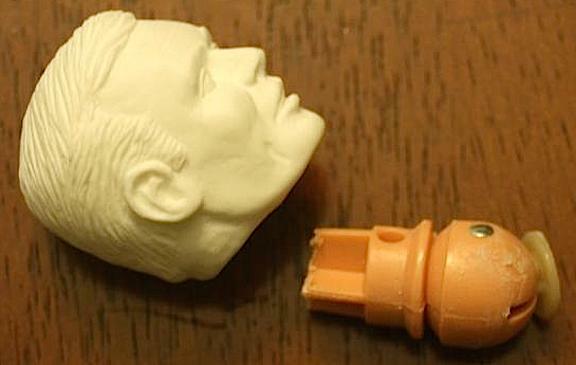 The face of the original 1960s “Hasbro Boy” logo appeared on nearly every vintage GIjOE product and promised children (and adults) toys that provided hours of creative and imaginative play. Sadly, like GIjOE, Hasbro Boy too, was “retired” and replaced by today’s bland, blue square logo that promises Joe fans—nothing. Bottom Line: In today’s world of automated email reply systems, its unclear if “Elizabeth” is a real person or simply a computer-generated (form-letter) email reply system called upon to respond to what must surely be one of their most frequently asked questions (FAQs). 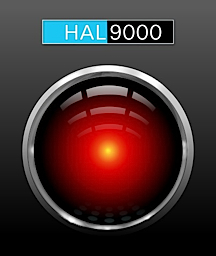 Regardless, we’d like to thank Elizabeth (or Hasbro’s version of the Hal 9000) for finally sending us a reply email, for wishing us a nice day and for thanking us for our “understanding” regarding GIjOE’s fading away into Toys ‘R Us’ uncertain sunset. All of that and a quarter will get us a bubble-gum ball from the corner drugstore. 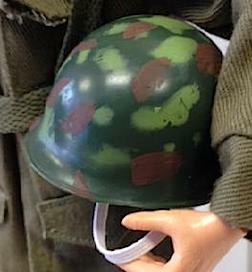 We hope Joe fans around the world will continue to support, customize, collect and REMEMBER “America’s Moveable Fighting Man,” regardless—and IN SPITE OF—Hasbro’s current and obvious lack of passion for the line. Joe MUST live on in the hearts and minds of us all. Go, JOE! 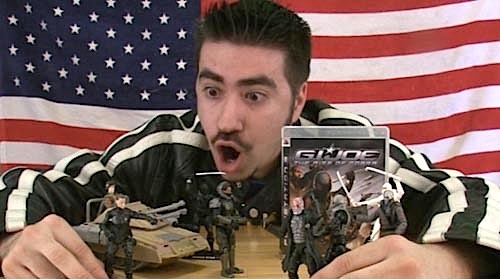 Who’d a thought GIjOE’s fans would be alive and kicking longer than GIjOE himself? After all, Joe’s essentially an “immortal” plastic toy who doesn’t have to worry about realities such as heart disease, cancer or old age. His biggest concerns are untimely “shelf dives,” “firecracker-in-the-pants” mishaps, or embarrassing tea parties over at Barbie’s Dream House. GIjOE exists primarily as an inspirational ideal. He’s a dedicated and loyal representative of morality and goodness in the never-ending defense of freedom and a life-long paragon and promoter of creative play for children. 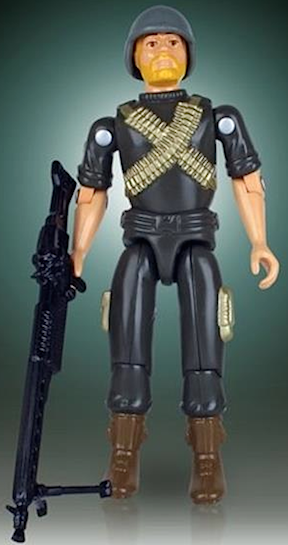 So how then is it possible, that here on GijOE’s 50th Anniversary, to all indications, it appears as if our 12-inch (and/or 3.75-inch) hero is fading fast from the hearts and minds of his once-loyal corporate creators and his previously enthusiastic retail supporters? 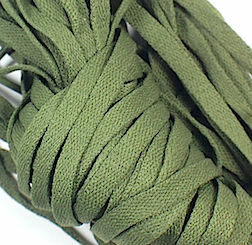 The latest shoe to drop in this regard (logistically and economically) is Hasbro’s recent (unannounced) “we-hope-you-won’t-notice” elimination of all scales, variations and extensions of GIjOEs from its own retail website: hasbrotoyshop.com. That’s right. GIjOE is GONE. Go ahead. Try entering every possible variation of the search word “GijOE” in the Hasbro Toy Shop website’s search window. You can do so until your knuckles turn blue—and you’d STILL come up with “item not found.” We tried GIjOE, G.I. Joe, G I Joe…nothing worked. Indeed, if you’ve been shopping for GIjOEs (in any scale) anywhere lately, online or in stores, hoping to score something new and cool to celebrate the brand’s 50th anniversary, then you’ve undoubtedly already encountered aisles of empty SKU slots on Toys ‘R Us shelves and blank webpages online. Store displays have been taken down and removed from public view. 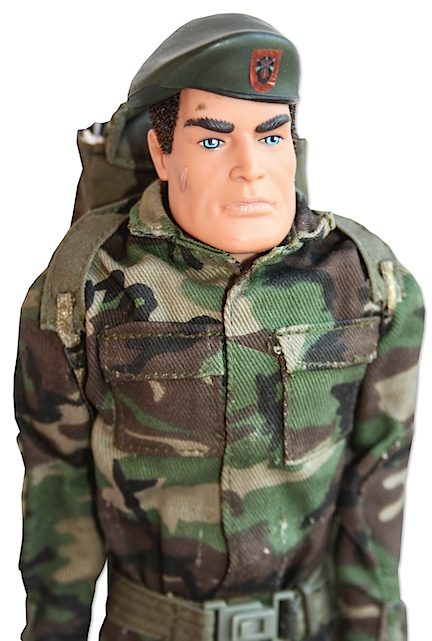 Other than the $300+ Sideshow figures and the annual exclusives offered by the club, only a handful of 12″ and 3.75″ GIjOE brand figures remain. Shockingly, 50 years after his creation—GIjOE has disappeared from retail outlets—with ZERO indication he’ll be back anytime soon. What’s Does the Future Hold for GijOE? Frankly, we’re not encouraged. It’s as if Hasbro has simply dropped their most famous brand and walked away. Yes, we all saw the Legos movie and yes, we know the toys are very popular with kids. We’re glad of that. But surely there’s still room on store shelves for an alternative to primary-colored, interlocking building blocks. Or has the world changed so much that there’s no room left in the hearts and minds of young boys and girls for what was recently voted as the “World’s Most Popular Toy?” (See story HERE.) And please don’t tell us that today’s children are so engrossed with smart phones and video games that use of their creative frontal lobes is out of the question. That would simply break our hearts! 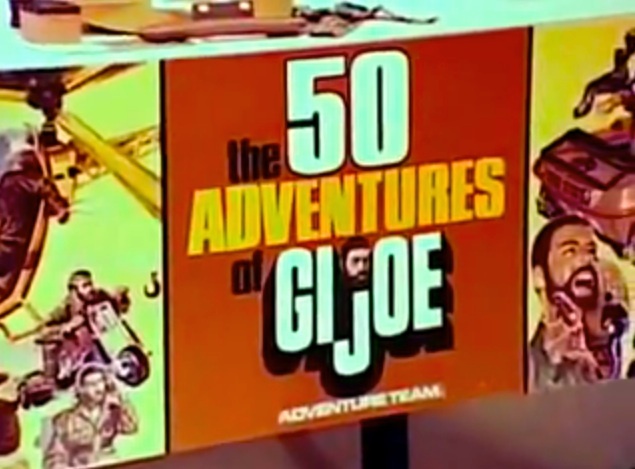 A screen shot from an early ’70s TV commercial that would launch the ambitious “50 Adventures of GIjOE” concept. Imagine if Hasbro REALLY tried something like this today. WOW! After 50 Years of Adventures and Memories—All I Get Is A T-Shirt? Bottom Line: GIjOE is no longer listed on Hasbro’s own website. That’s a cold, hard fact fans now have to accept. While the brand may only be taking a “time out,” as Mr. Ryan postulates, to others, this looks like yet another nail in our hero’s 1:6 scale coffin. Sadly, it’s hard to imagine Hasbro resurrecting the line any time soon. When and if another movie is released, we might expect some more half-hearted, barely poseable figures at Walmart. But for the forseeable future. GIjOE may have to, as Mr. King stated, “live on in the hearts of collectors.” And live on he will. Go, JOE! Donnerwetter! Time Travel IS Possible. 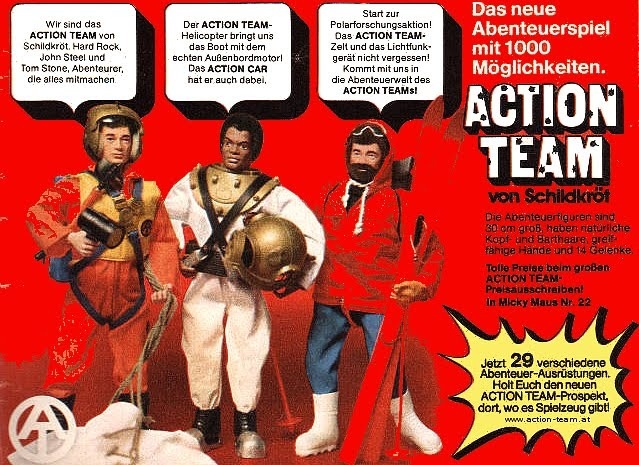 In a stunning revelation made today by famed toy auctioneer Uwe Winkler, a horde of long-ago forgotten (vintage) Action Team and Big Jim action figures and related equipment sets have just been discovered in Germany and are about to be sold to the highest bidder(s) in an upcoming worldwide auction. 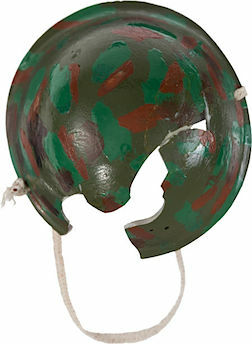 Regular readers of The Joe Report will be excused if they feel a sense of deja vu, because this event seems reminiscent of a similar find (detailed HERE) in which we reported on the discovery and sale of another unbelievable cache of NMIB GIjOEs, ones that had been hidden away in a museum—in Dearborn, Michigan—since 1965! 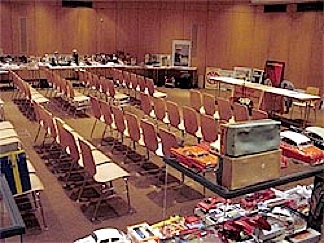 What makes Winkler’s upcoming NOS sale so exciting is the untouched, never-sold, mint-condition of the items being offered. You can tell by looking at their packaging that they simply haven’t been handled or probably even touched for decades. These are highly desirable vintage ’70s toys that have never been owned by any child or adult toy collector; never been played with, and never even exposed to sunlight. 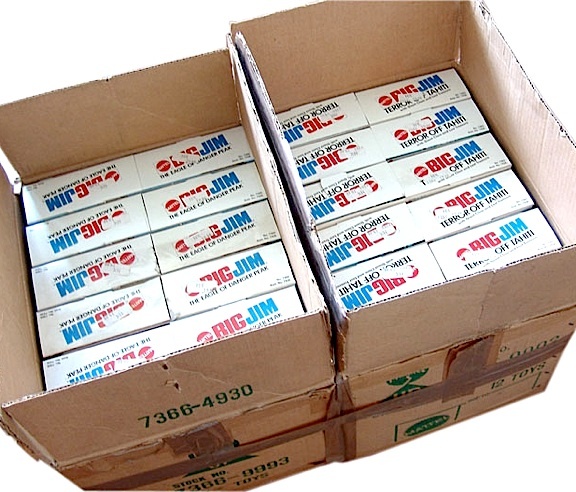 In fact, many items are still packed in their original factory shipping cartons. Holy minty-fresh, Batman! 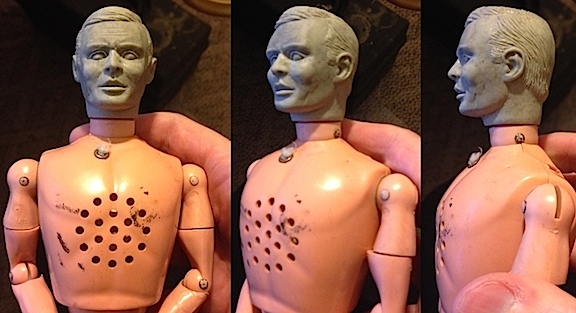 For action figure collectors, handling such “virgin” vintage merchandise—manufactured over 40 years ago—is about as close an experience to time travel as we could ever hope to experience. Hello, Marty McFly? “After leaving the Army, I studied economics and business taxation and worked as a tax consultant. 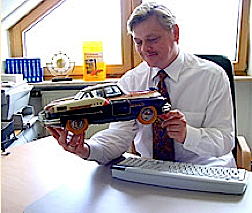 I am now the owner of the auction house Landsberger Toy Auctions in Germany / Bavaria where I’ve sold vintage toys since 2000 (as a sole proprietor), mainly tin-toys and die-cast cars from the 1940s to the 1960s. 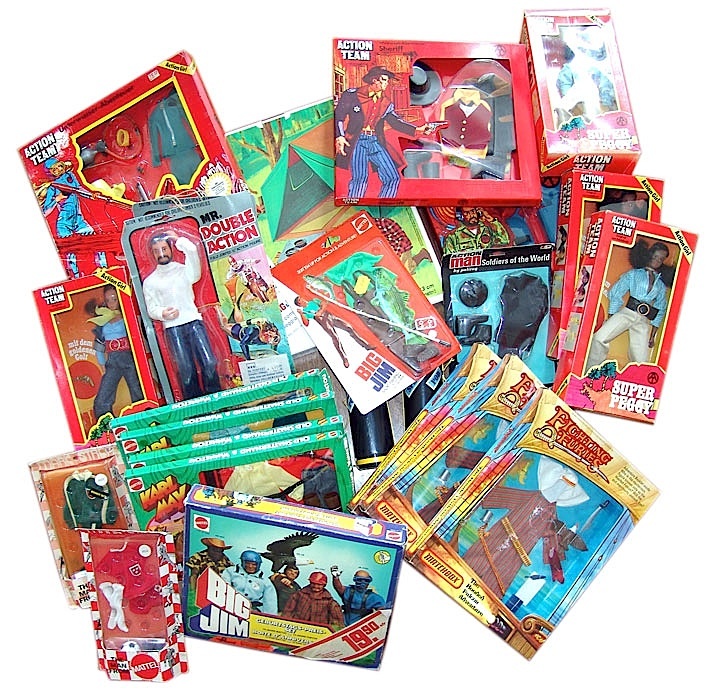 During my 31st auction (April 2014), I offered many mint and boxed action figures from Mattel (Big Jim) and Action Team (Hasbro’s German GIjOE) and will do so again in my 32nd Toy Auction on October 18th, 2014. I am happy to offer almost 1.000 items from the 1970s. We present every lot in a high-quality catalog, fully pictured on the internet, and give bidders the opportunity to place their bids by phone, email, writing, or in person. Bottom Line: It boggles the mind how almost 1,000 unopened, NOS (new old stock), NMIB (new mint in box) Action Team and Big Jim toys from the 1970s were squirreled away in an old man’s cellar in Germany and are only now (finally) emerging for a modern-day resurrection and resale. Gott im Himmel!—That’s almost 40 years!